February 10, 2015 – A new documentary film entitled “To Mars”, describing the challenges facing crew members of the Mars Society’s Mars Desert Research Station (MDRS) in Utah, has been selected for screening at two prominent international film festivals – Academia Film Olomouc, a science documentary film festival held in the Czech Republic, and GeoCinema, a film festival organized by the European Geosciences Union and held in Austria. The documentary about life at MDRS was filmed and edited by Flip Køubek and Tereza Pultarová, members of Crew 135 stationed “on Mars” in February 2014. The Mars Desert Research Station is a prototype of a habitat that could eventually exist on Mars, serving as a main base for exploration in the harsh Martian environment. 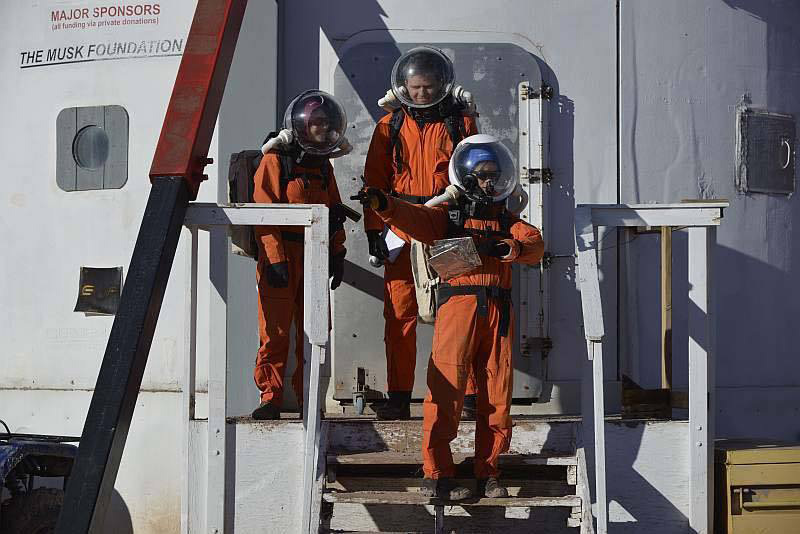 Teams living at MDRS experience what it will be like to live and work on another planet, and carry out Mars analog field research in a variety of key scientific and engineering disciplines that help prepare humans for the exploration of the Red Planet. For example, it is one thing to walk around a factory test area in a new spacesuit prototype and show that a wearer can pick up a wrench – it is entirely another to subject that same suit to two months of real field work. To view the new MDRS documentary on YouTube, please click here.